LR Landscaping and Pavers is a Landscaping contractor and Paving stone contractor with over 15 years contracting experience, and since 2007 has specialized in the installation of paving stones, synthetic grass, garden and retaining walls in the residential and commercial market. We are locally owned by Lee Reveles. Lee and his Project Manager, Bill Bailey, personally work with you to ‘create beautiful faces on your outdoor spaces'. Here are some of the projects we are able to install for you. We take great pride in giving our customers the highest quality work and personalized care, and we proudly represent all of the major manufacturers of beautiful 'Made in America' paving stones and wall material. 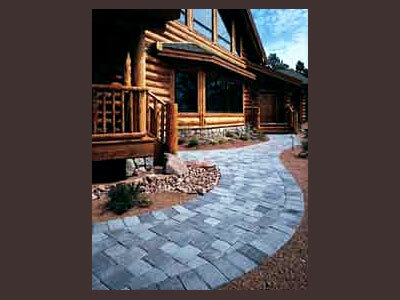 All of our paver and wall installations follow the standards set by the Interlocking Concrete Pavement Institution and the National Concrete Masonry Association. We offer a 25 year warranty on our installations for your peace of mind. We are properly licensed by the California Contractors State License Board, (Lic # 903031) and carry workers compensation and general liability insurance. Our crew are full time employees. We do not use sub-contractors. Take a moment to browse our photo gallery, to view some of our most recent jobs, and call us at 916-502-6037 for a free estimate and consultation along with references of our very happy customers. You may also CLICK HERE to fill out a free estimate request online if you prefer.